Having suffered a successive derby defeat this season, Bagan will look to play for pride, while for Kerala the match would be important to move up from the relegation zone. 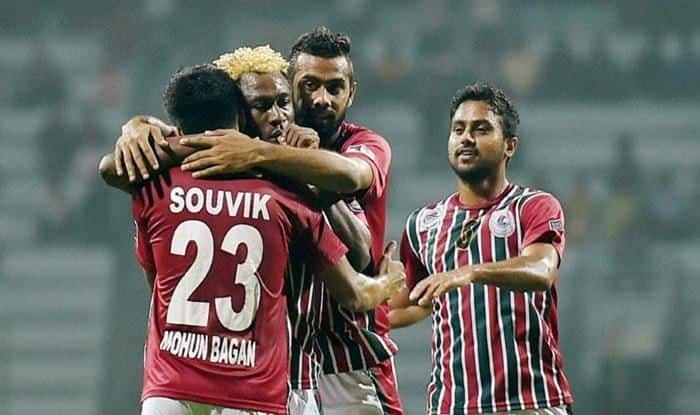 Their title hopes all but over after the loss to arch-rivals East Bengal in the last match, Mohun Bagan would look to return to winning ways when they face lower-rung Gokulam Kerala FC in their return leg I-League fixture on Wednesday. Bagan, the 2015 champions, suffered a 0-2 loss to their crosstown rivals East Bengal in the last round on Sunday, which almost crushed their title aspirations this season. Having suffered a successive derby defeat this season, Bagan will look to play for pride, while for Kerala the match would be important to move up from the relegation zone. Kerala found themselves at 10th position with just 11 points from just 13 matches. Bagan, on the other hand, have slipped to sixth place with 21 points from 14 games. As for the changes, Khalid Jamil would look to bring back Shilton D’Silva and Arijit Bagui, while their Japanese midfielder Yuta Kinowaki is likely to sit out with a calf muscle injury. Jamil conceded that the intensity was missing in their derby clash on Sunday but he urged his players to move forward. “East Bengal looked more determined. We should learn from the mistakes and move on. There’s no point thinking about the past. The last match was not up to the mark, but we must go ahead,” Jamil said on the eve of their clash. “But it’s not difficult to motivate the players. They are professionals and are ready for the match.” Both the teams played out a 1-1 draw in the first leg in Kerala. The visitors would look up to their new signing Fabien Vorbe, who was brought in by new coach Gift Raikhan after Fabrizio Ortiz left the club midway through the season. “We are fighting for relegation. So the motivation is high. We need three points very badly,” Raikhan said.